This page shows the year-on-year change in revenue for the business units in the Industrial Business. 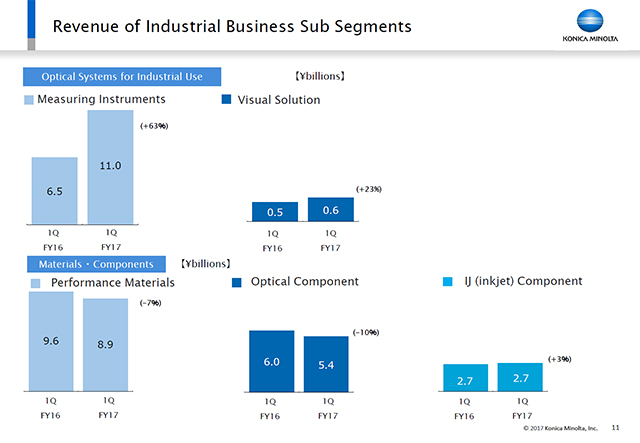 In the field of optical systems for industrial use are the two business units of measuring instruments and imaging solution, while in the field of materials and components are the three business units of performance materials, optical component, and IJ component. This is not the first time I have mentioned this, but measuring instruments posted a significant growth in revenue.